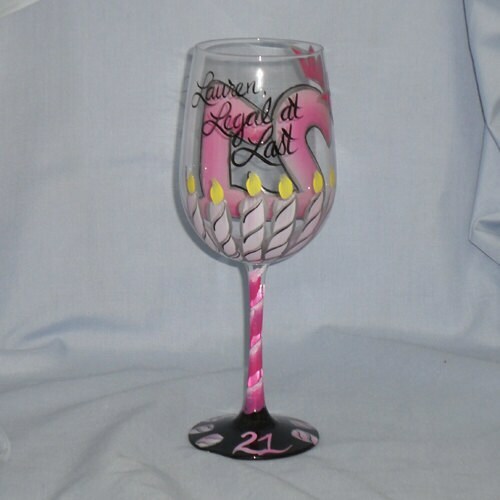 Our 21st Birthday hand painted wine glass has the number wearing a crown and candles behind it. The color scheme on this glass is pink, black and silver. Over the candles flames, it has been painted to say Legal at last. We can add a name also. Do you love this glass but need it for a 40th Birthday? We can paint it that way! All you have to do is tell us. Beautifu job - had this personalized for a friends 40th birthday and she loved it! Rebecca was great to work with!